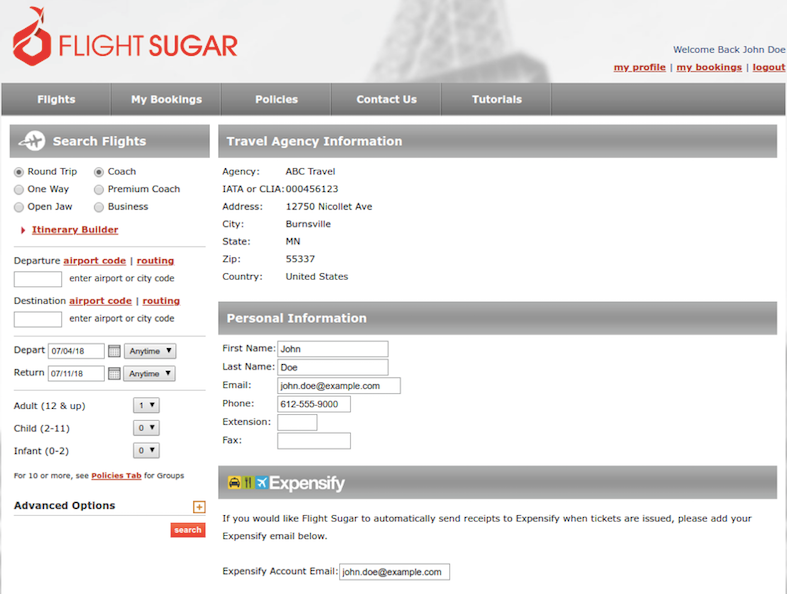 Booking flights through Flight Sugar? Link your Expensify and Flight Sugar accounts to automatically send receipts to Expensify for easy reporting. 1. Sign in at flightsugar.com. 2. Click "my profile" in the upper right corner. 3. In the Expensify section, enter the same email that you use to log into Expensify. 4. Click "update profile" at the bottom of the screen to save changes. Once your accounts are connected, you’ll automatically see your Flight Sugar receipts in Expensify!